Mrs. Carla Dhom grew up in Alexandria, Virginia. She earned her B.A. in Psychology from Marymount University in 1993, and then continued her education at Virginia Tech, where she earned her Master's in Education in 1995. 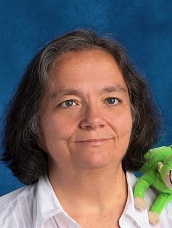 After years of teaching experience, Carla joined the staff of MVCA in 2012. 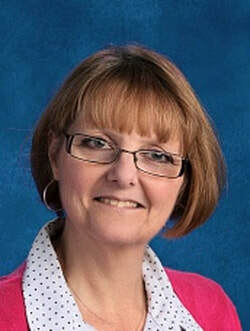 Her two children, Hallie and Michael, are secondary students at MVCA. Carla is thankful that she can work in an environment where she can teach from a Christian worldview. Outside of MVCA, Carla enjoys spending time with her family. Mrs. Tammy Sandretzky grew up in Arocla, Virginia and married her best friend on May 29, 1982, at the age of sixteen. She has two sons, Justin -31, Brandon – 28, and a daughter, M’Kenzie – 16. She is blessed to have two beautiful grandsons, Caiden -6 and Lincoln – 1. She moved to the Shenandoah Valley in 1991 from Leesburg, Virginia. She accepted Jesus Christ as her personal Savior at the age of fourteen! Prior to moving from the Leesburg area, she and her husband were youth leaders at their church. Tammy received her Associates Degree in General Education from Mountain State University in Martinsburg, West Virginia. After having her daughter in 2001, she went back to college and earned her Bachelor of Science in Organizational Leadership in 2004 from Mountain State University. God has laid a passion for teaching on her heart over the last seven years. During this time, Tammy subbed at Mountain View Christian Academy in the Elementary level. Life verse: Proverbs 3:5 Trust in the Lord with all your heart and lean not on your own understanding; in all your ways submit to him and he will make your paths straight. Ms. Judy Burkey is the fourth grade teacher at MVCA. She is a single parent with three children: Jesica, Miami, and Terry. She has come full circle in her life. 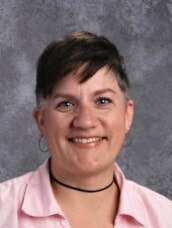 Ms. Burkey left the Winchester Area over 20 years ago and attended college on a scholarship from The Church of Christ at Mountain View, with the understanding that someday she would return and teach at a school that had not yet been built. She returned to Winchester and realized this dream had turned to reality. 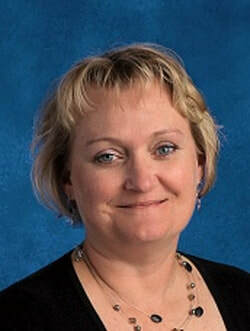 Mrs. Jennifer Lynch, originally from Shreveport, Louisiana, spent most of her childhood in Winchester and attended Frederick County Public Schools. After graduation, she went to Lord Fairfax Community College for one year and then completed a B.S. in Interdisciplinary Studies at Western Governors University. Jennifer came to MVCA as a student teacher in 2004. She finished that school year as an aide in Kindergarten. Jennifer taught 1st grade for a year and a half and then became a stay at home mom. She returned to MVCA in 2012 to teach 5th grade. Jennifer is thankful for the opportunity to teach in a Christian environment and for her children - Corben, Madilyn, and Olivia - to be able to attend MVCA and Training His Tots. Outside of school, she enjoys spending time with her husband, Jeremy, her kids, and her extended family. Miss Lindsey Hampton, originally from Charles Town, West Virginia, began teaching at MVCA in 2014 after graduating with her B.A. in Sociology and Technical Writing from Fairmont State University in Fairmont, West Virginia. She is currently pursuing her Master's in Education at Western Governor's University. In her free time, she enjoys hunting Pokemon, eating peanut butter, and collecting flamingos.